Click here to submit an on-line help form to get your technical questions answered! The Chemical Coaters Association International is a technical and professional organization that provides information and training on surface coating technologies. 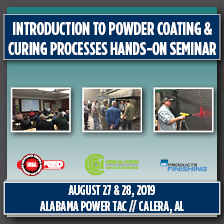 CCAI's foundation is it's series of active local chapters across the U.S. that conduct technical meetings on all aspects of organic finishing. Chapters serve as an excellent forum to discuss regional concerns while offering outstanding networking opportunities for finishers and suppliers. 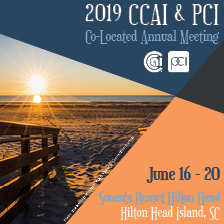 CCAI works to raise the standards of finishing operations through educational meetings and seminars, training manuals, certification programs, and outreach programs with colleges and universities. 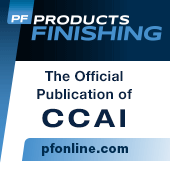 If you are involved in industrial finishing operations, we invite you to take a look at all that CCAI can offer you. Surf our site, attend a local chapter event soon and join us for CCAI’s FINISHING Pavilion & Conference at FABTECH each Fall! This video will provide you with a quick overview of the Industrial Finishing Industry. Included are live video segments of liquid application technology, powder application technology, robotic integration and the electrocoating process. Learn all about CCAI in two minutes! Click the picture below to view our New video. Learn what CCAI Members have to say about careers in finishing and how CCAI is working to help build a better finishing industry! Copyright © 2018 Chemical Coaters Association International (CCAI). All Rights Reserved. Content and images may not be used without express written authorization from CCAI.